Adzuki or Aduki beans are a popular item in Japan, China and Korea, used in meals and desserts. In fact, this sweet red bean is a favorite filling for many sweet treats such as ice cream, mochi and cake. However, it is not just the sweet properties of this bean that has earned it the name “king of the beans.” Its nutritional content is impressive, its taste delicate, and compared to other beans, it is more easily assimilated, bypassing typical bean problems like gas and bloating. So why don’t we eat more of them? 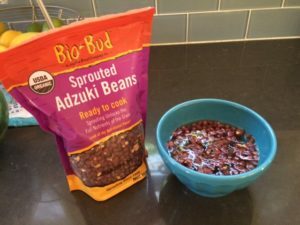 I am here to change that and bring Adzuki beans the attention they deserve! Beans in general, are feared by many people because of the unpleasant side effects. However, I think much of that is due to the improper use and cooking of these high-protein legumes. Traditionally, beans were soaked overnight to help break down the phytic acid present in the bean. Phytic acid acts as a natural pesticide, protecting beans and grains from insects and disease. Unfortunate for us, this phytic acid also is difficult to break down and makes the minerals and nutrients in the beans unavailable to us. Additionally, beans contain indigestible sugars, which are leached out during the soaking process, allowing our enzymes to them gobble them up and break them down into simpler sugars. If you don’t break down the sugars, then they go to the large intestine intact where gut bacteria begin to ingest them, producing the unfavorable side effects of gas, bloating and diarrhea. So, the point is: soak your beans.. If you buy canned beans, the situation improves, however, you still need to properly prepare your beans with a few secrets I will discuss below. Back to the adzuki bean. As I said, they are easier to digest than other beans because they contain less phytic acid and fewer of these hard to break sugars. Couple that with their high protein and fiber content, they are something you definitely want in your pantry for quick vegetarian meals like chili, or to add to your breakfast grains (they are great with oats)! Additionally you can simply enjoy them with some sautéed greens like kale. Now what are the benefits? Well, adzuki beans are high in fiber and help to balance blood sugar and insulin levels. That is great news for diabetics. 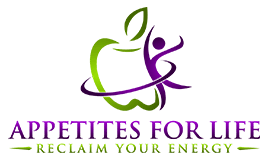 They also provide balancing energy and are rich in folate, magnesium and potassium. 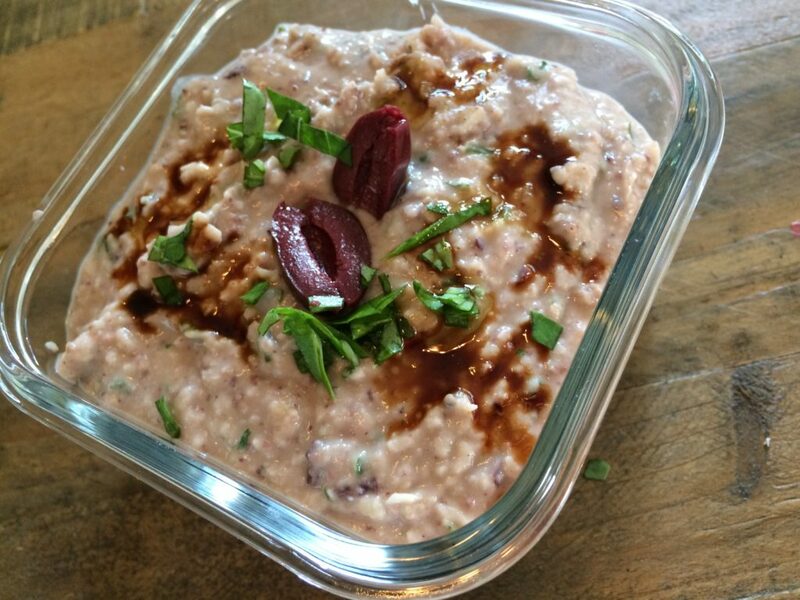 I like to use adzuki beans as a base for a hummus or dip. Hummus can be made out of any type of bean, but I think adzuki beans really steal the show. From here, I use the dip alongside almost anything: on bread, salads, eggs, or with crackers for a quick snack. In the recipe below I added kalamata olives, parsley and some balsamic vinegar to balance the sweet with some tang. 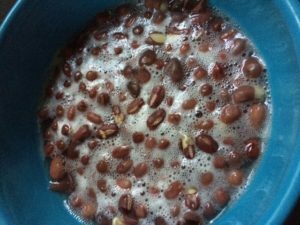 I started out with dried beans, so I had to soak and cook them. To make this much simpler you can use canned beans. I prefer the brand Eden’s Organic because they soak the beans in kombu, which is a seaweed that makes beans more digestible and adds valuable iodine. You can also buy sprouted beans which are also ready to cook. You can still soak them if you wish, but I don’t think it is necessary. Whether you use regular or sprouted beans, cook them with a stick of kombu and finish off the cooking process with a bit of apple cider vinegar (ACV). Both help tenderize the bean and it more digestible. Add salt only at the end of the cooking process. Once the beans are cooked and cooled, you can begin to make your spread. Place the cooked beans, vinegar, garlic, ginger, salt and oil into a food processor. Process until smooth, gradually adding the water until desired consistency. Place bean mixture into a bowl and stir in the scallions and cilantro. Add more salt to taste. Chill until serving. Serve with crudité or crackers. These beans are too good and too good for you to ignore. 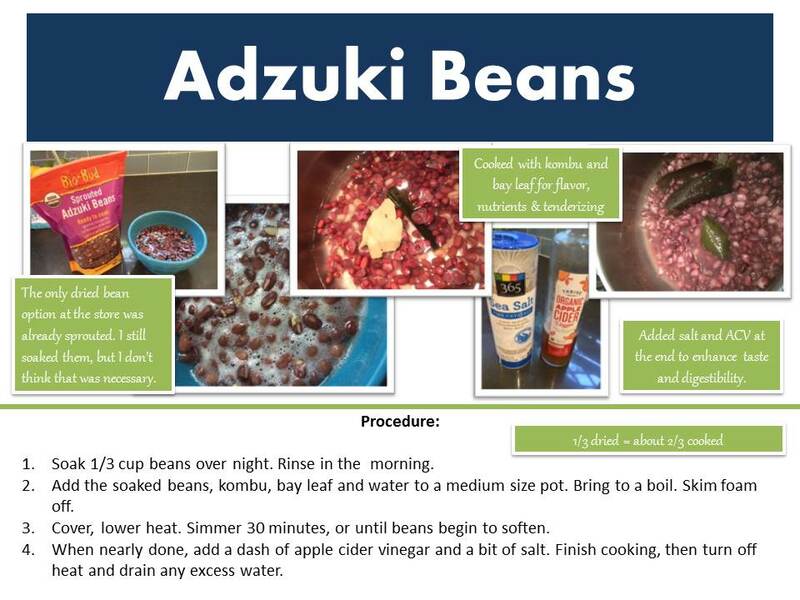 Pick up a can today and give adzuki beans a try!